Netflix announced the next big release in user focused security, the Stethoscope native app. The new native app includes basic device health recommendations with inline clickable instructions on how to update settings. It can also communicate with a web app (such as a Single Sign On provider) in order to make device health suggestions at pivotal moments. TL;DR: Basic device hygiene is a fundamental security practice. People want to securely configure their devices, but they may not know what the best practices are, or how to comply with them. Empowering users to see the state of their devices and how to get them into an ideal state improves the overall security posture of an organization. The Stethoscope app was built with not just device health in mind, but also with security in mind. The app does not run as root, and has no elevated privileges. The app does not change settings for users automatically. This respects the user’s ownership of their device settings, but also has the benefit of not adding risk of settings being changed maliciously via the app. Device information can be sensitive, so we limited who is able to run scans. This is enforced via a CORS policy, which is configured at build time. The local server only listens on loopback so that device scans cannot be run outside of the local machine. Currently Mac OS and Windows 10 devices are supported. Sandboxing is a process that runs an application in a safe environment isolated from the rest of the operating system and applications on a computer. So that if a sandboxed application gets compromised, the technique prevents its damage from spreading outside the closed area. Since antivirus and anti-malware tools run with the highest level of privileges to scan all parts of a computer for malicious code, it has become a desired target for attackers. 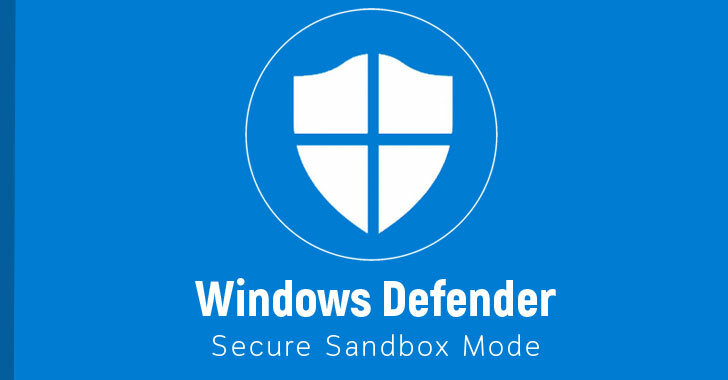 For now, Windows Defender running on Windows 10, version 1703 (also known as the Creators Update) or later, support the sandbox feature, which is not enabled by default, but you can turn the feature on by running some commands described in the article. fuxploider: File upload vulnerability scanner and exploitation tool.